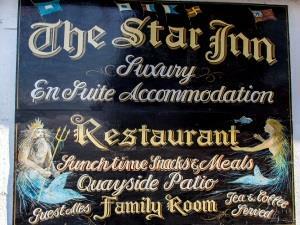 The Star Inn is a comfortable 17th century Coaching Inn in Burnham-on-Crouch which is a small town on the north bank of the River Crouch. It fronts the High Street which hosts a number of bars, restaurants, interesting shops and quaint cottages. The inn's accommodation is self-catering which includes a kitchenette with tea and coffee making facilities, lounge area with TV, bedroom which sleeps two to three people and en suite bathroom. If the idea of a hearty cooked breakfast prepared by someone else appeals to you then there is a cafe on the quayside just a few yards away.